Pesellino (Francesco di Stefano), Florentine painter who studied under his father Stefano di Francesco and inherited his studio workshop. 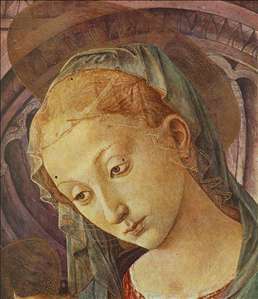 His style combined elements from Fra Filippo Lippi, Masaccio and Fra Angelico. He appears to have worked with Lippi, who completed the altarpiece The Holy Trinity after Pesellino s death. Pesellino worked with Uccello on battle scenes for the Medici Palace, Florence, and also painted panels for cassone ( bridal chests ). 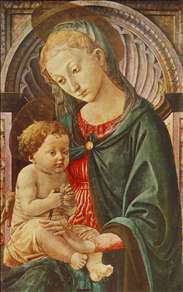 See more details about "Madonna with Child"
See more details about "Madonna with Child "